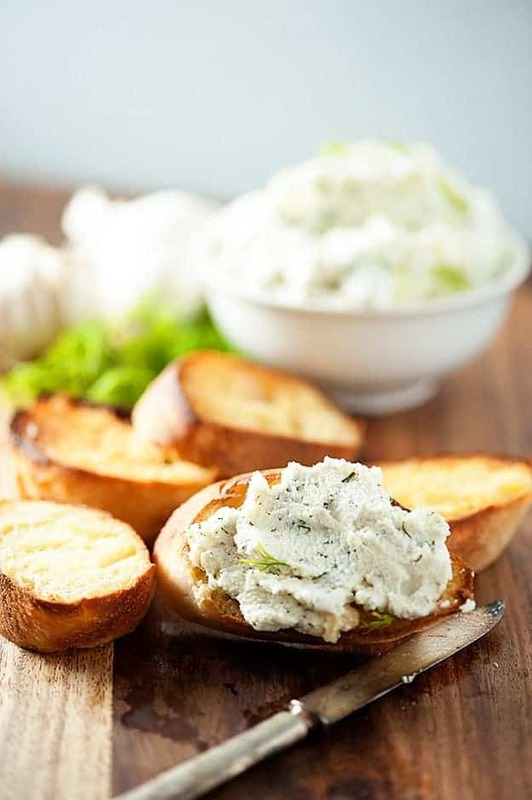 This roasted garlic and dill ricotta spread makes for the perfect crostini recipe! 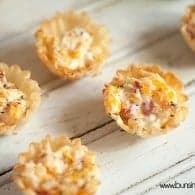 Spread on the creamy cheese and it’s such a satisfying appetizer! 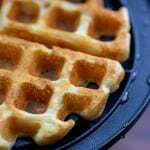 This post was created in partnership with Tiny Prints and CafeMom. If I told you guys I had some big, important, mayjah news to share with you right now, what would you guess that news might be? Personally, any time someone says they have news, I immediately blurt out OMG, YOU’RE HAVING A BABY? I can’t help it. That’s just where my mind goes. It’s probably annoying. But, I’m wondering…are you the same way? So, let’s back up. I’m totally not pregnant. Not even a little bit. That time of my life is done and over. But, I still have babies on the brain and I’m always guessing people (any people! even my grandma!) are pregnant when they have big news to share. 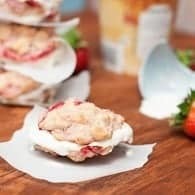 That really has nothing to do with anything, except that I thought it would be fun to share some baby shower recipes with you today! I feel like baby shower season is upon, which is ridiculous because babies are born all year long. But, Spring = Baby Showers in my mind. So, I teamed up with Tiny Prints to bring you some munchies to…uh…munch on while showering all the pregnant peeps with gifts and love and plenty o’ diapers. 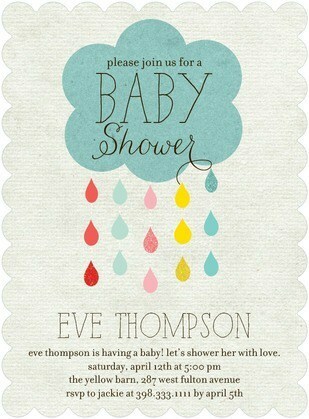 So, when you’re planning a baby shower, you obviously want some adorable invitations. That’s where Tiny Prints comes into this. You guys, their cards are such a great quality…thick and luxurious! The different prints and options are so fun, too! If you’re really ambitious and Pinterest-y you could coordinate your food to the invitations. I mean, I would totally think you were fancy. 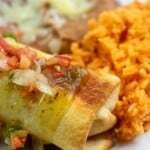 Below are a bunch of great food options for baby showers! 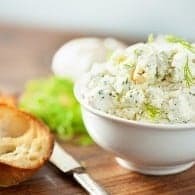 And even further below that is a recipe for my Garlic Dill Ricotta Dip, so be sure to keep scrolling! Alright, so this spread. You guys are going to love the creamy, rich flavor! 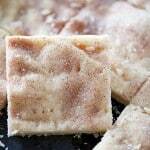 It’s pretty perfect because it’s just a few ingredients and it’s so easy to whip up. I sometimes eat this all by myself while catching up on my DVR, but it’s just perfect for devouring at your next baby shower. 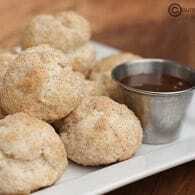 It’s quick and simple, but still fancy enough to serve to your guests. 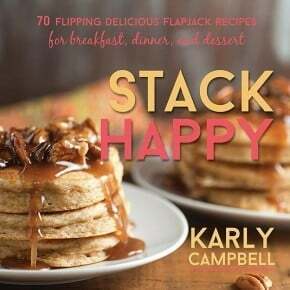 Don’t you love recipes like that when it comes to entertaining? You look like a rock star without actually having to do a ton of heavy lifting! 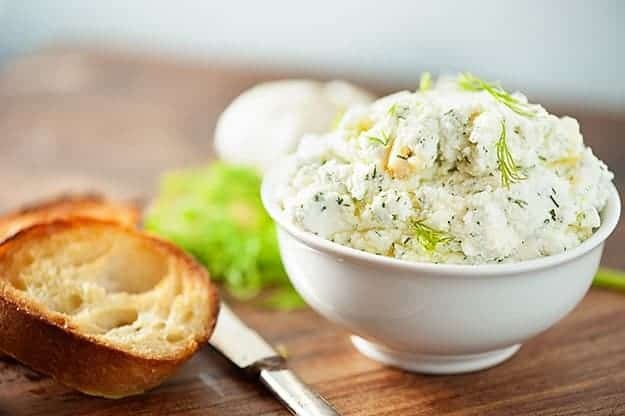 The dill flavor just brightens the dip up, the garlic adds a nice little punch of flavor, and the ricotta is so creamy and rich. Serve this with crostini or dip in some fresh veggies. 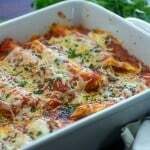 It’s even good tossed on some plain pasta for an easy dinner recipe! 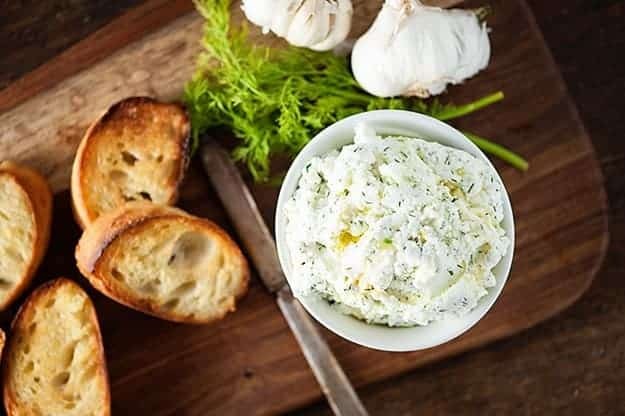 This roasted garlic and dill ricotta spread makes for the perfect crostini recipe! Spread on the creamy cheese and it's such a satisfying appetizer! In a medium bowl, combine the cheese and dill. Squeeze the entire head of garlic into the mixture. Add one teaspoon of olive oil and the salt. Stir well to combine. 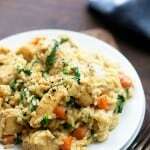 Place in a serving bowl and drizzle with the remaining teaspoon of olive oil. Serve spread on crostini or as a dip for vegetables, chips, or crackers. 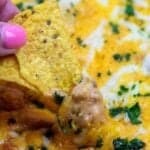 What a yummy sounding dip! And so easy to whip together. 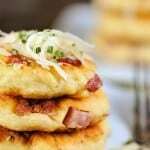 Can’t wait to try, pinned this recipe! hahaha I always think everyone is pregnant when they say they have news. 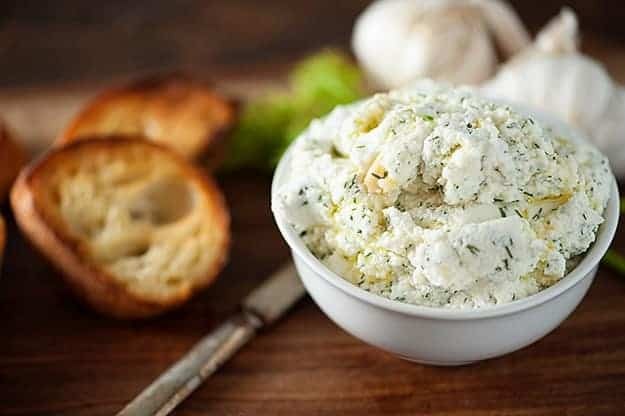 Love Tiny Prints and love this dip — ricotta is one of my favorite cheeses and I could put it on just about anything! This is all so so cute, amazing, and that dip looks awesome! 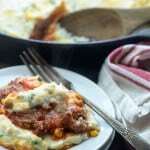 I love homemade ricotta, and I am saving this recipe to make it for a party! Homemade ricotta is pretty much the best thing ever! Hi I’d like 1000 baguette slices with this dip, k thanks. OMG, this spread looks amaze balls. Dill is one herb that I could eat every day… so yeah, this is totally happening. I could eat that whole bowl!! I love anything with dill. I always have babies on the brain…AND it seems like every other day one of my friends is pregnant! Love this as a baby shower app!